What is your experience of the look and feel of Crystal Palace Parade. The area of the double-dutch roundabouts is much easier for pedestrians to use now, but there are some difficulties for motorists and cyclists. We agreed to look at signage and navigation issues as part of the 'snagging' process for the Crystal Palace Parade project, based on the comments we received. 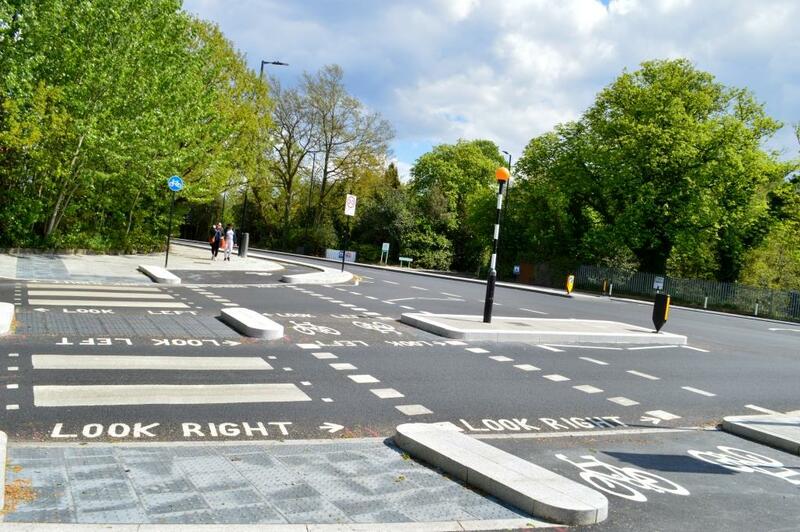 Recent works on Crystal Palace Parade have introduced improved walking and cycling routes through this busy junction. We are conducting this survey to find how people who live on the street or visit it regularly feel about it as a place to visit, stop, shop or travel through. The questions are based on TfL's Healthy Streets approach, and your answers will help us compare this street with similar streets across London, so that we can plan future improvements for all our residents. When answering the questions, please think about the most recent occasion when you were on this street. For a reminder of the changes, please see the plan below.The questions should take no more than five minutes to answer. We want to know what you think about Crystal Palace Parade. This will help us assess how successful the recent improvement works have been, and also to plan future street improvement projects in Southwark. Your data will be anonymised and only used by the Highways team for the purpose described above. However, there is an option to provide us with an email address if you would like feedback on the outcomes from this survey, and to receive information about other Highways surveys and consultations in your area.